The mission of the clinical laboratory services in EMC is to achieve and maintain high standards in the delivery of accurate, timely, reliable and cost effective results reporting to support our objective of providing patient centered care. 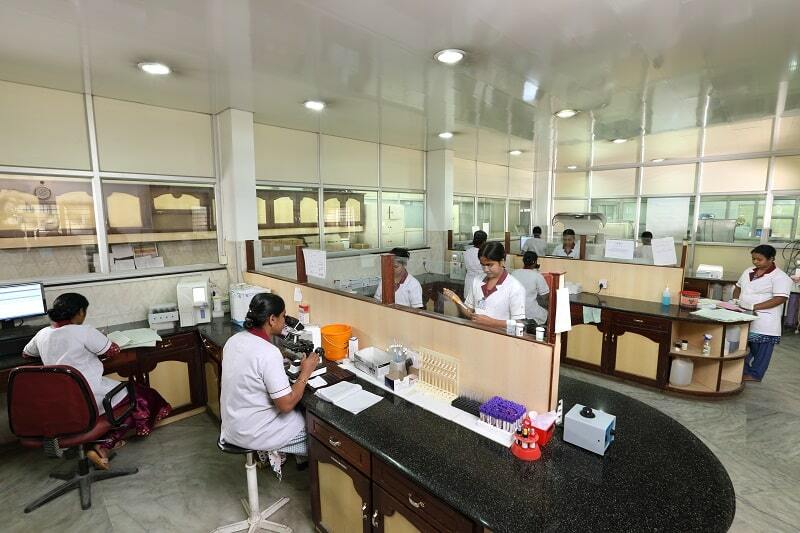 Our laboratory services offer testing of clinical samples and specimens to obtain information about the health of patients pertaining to the diagnosis, treatment and prevention of diseases. We constantly upgrade our facilities infrastructure to expand the range of tests that we handle on a routine basis. With the latest and fully automated laboratory equipment using cutting edge technologies, we ensure high standards in the on-line delivery of accurate, timely and reliable investigation results to our physicians and other care providers. While a large majority of the tests are performed in-house, certain specific investigations are referred to other designated and NABL approved reference laboratories.